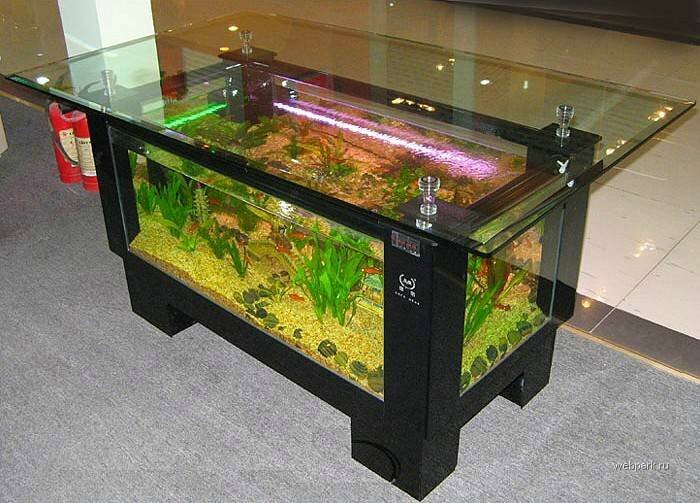 An impressive “L” shape Coffee Table Aquarium. 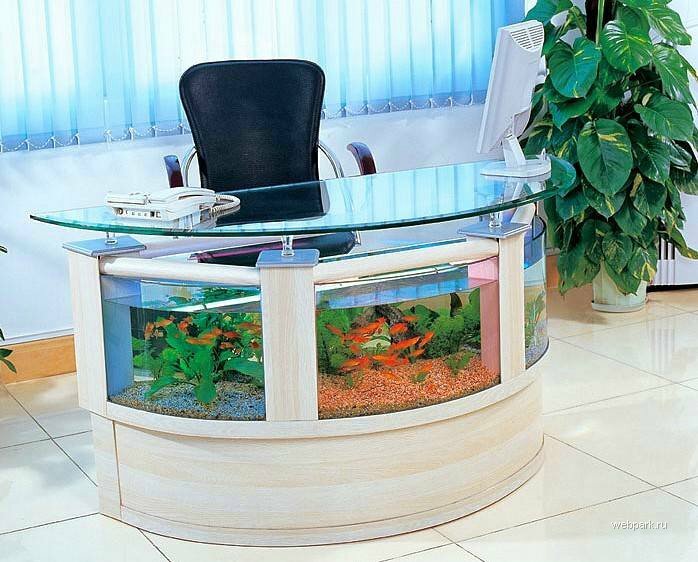 If you do not have enough room in your new office to put an aquarium, just integrate an Aquarium in the table. 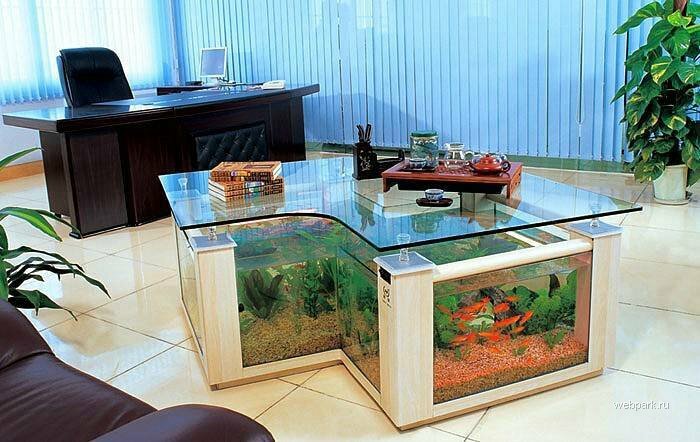 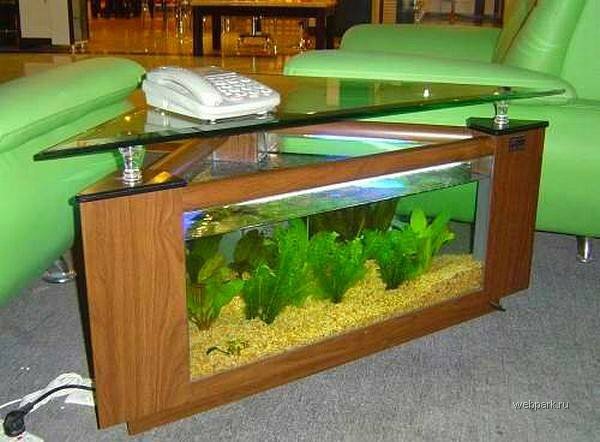 An excellent space saving in office and home decoration can be done when you combine an aquarium with a coffee table. 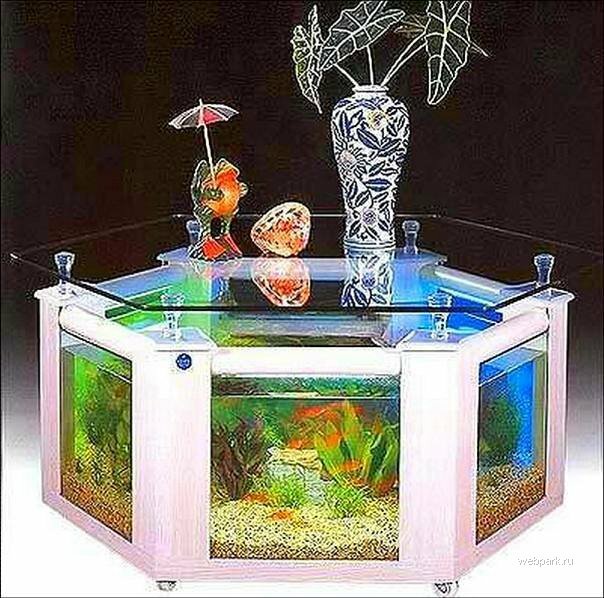 These tables, with their spectacular beauty, will entertain, relax and inspire anyone.